The following took place after I anchored morning drive news on WMAY, and after a 5 mile half marathon training run. where Peter Nezamis was being promoted. Gov. Pritzker was there. Gov. 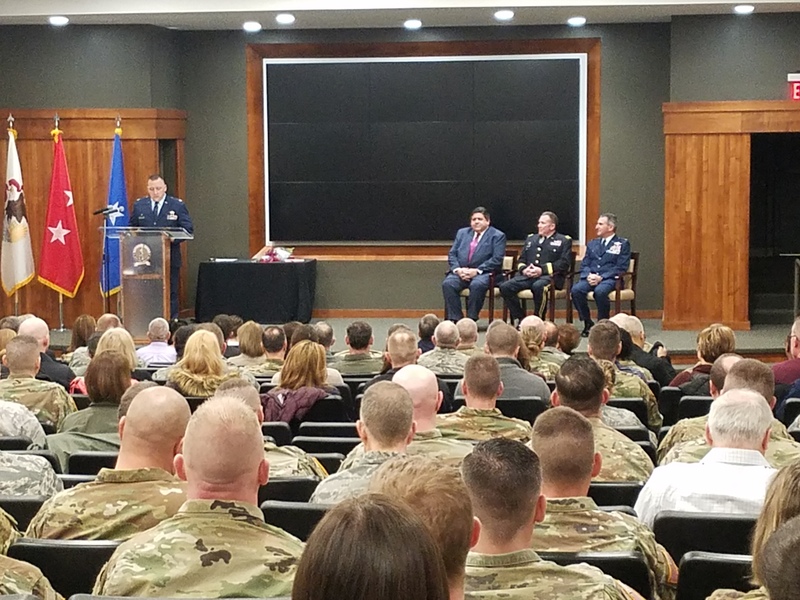 Pritzker attends the promotion ceremony of Col. Peter Nezamis to Brigadier General. Gov. Pritzker tells acting Ag Director John Sullivan the inauguration fundraiser will give $800,000 to the Illinois Fairgrounds Foundation. Then it was back to the Illinois State Capitol where the House Rules Committee met to hammer out the rules that govern the house. Illinois House Rules Committee debating new provisions with new chairman House Majority Leader Greg Harris. Retired state Rep. Barbara Flynn Currie had that spot for years. Rules Committee, controlled for years by Democrats is also considered the place bills go to die. 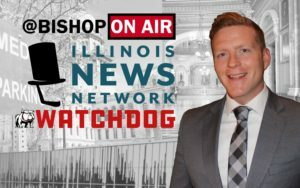 I was then able to get two stories put out (one linked above about the Air National Guard) and the other about what to expect early in session. Read that here. It was about 4:30 and it was time for a Wrap. Needless to say I’m beat and it’s time to get wink before getting back to the story chase. I commit journalism daily, enjoy traveling, have contrarian taste, and share most of it with you here.